Nobody knows how to play at being a viking better than a real Scandinavian. The reenacting quality over there is incredible. 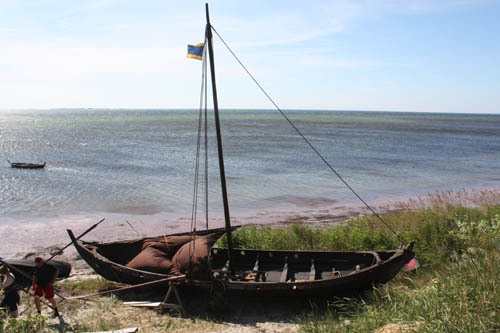 On the southern tip of Sweden sits an ancient site where viking markets were held. 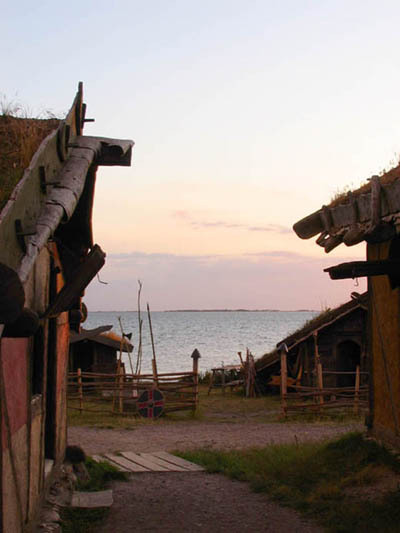 Today, very close to that same spot is the Foteviken Viking Village Museum. 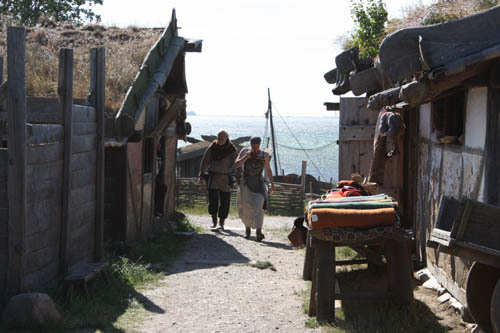 The village perches on a bluff overlooking the sea between Denmark and Germany. 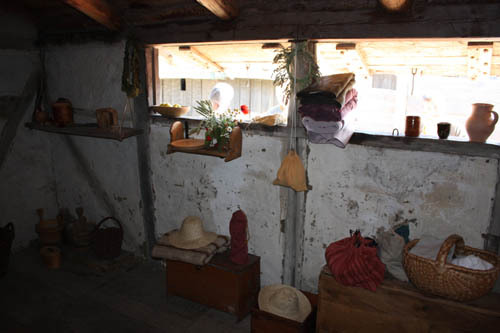 It is surrounded by a high earthen wall and wooden stockade. 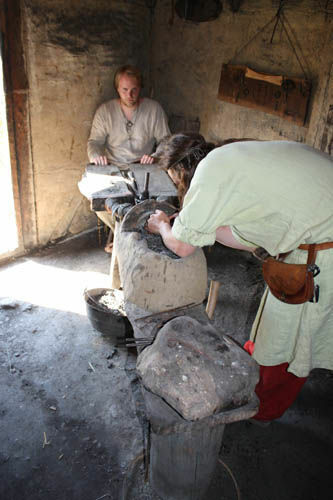 Inside are many buildings that are authentic reproductions of the buildings used by the scandinavian people of the early middle ages. 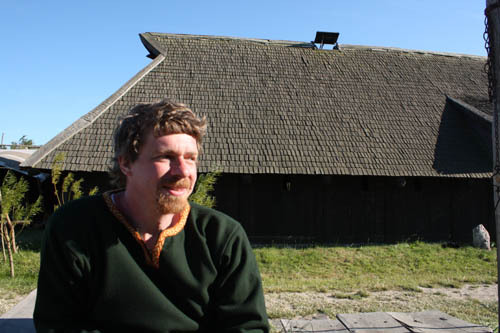 There is a reconstructed viking ship, and even a watchtower. 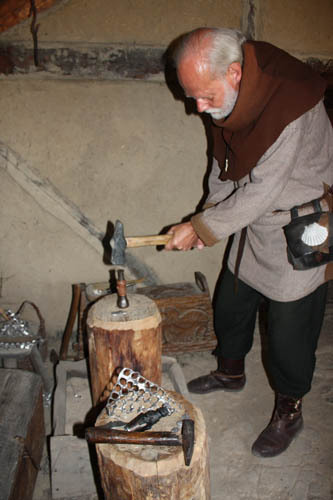 And it gets better- During special events, people actually live in the buildings as they did 1000 years ago, using the ancient kinds of gear their ancestors used so long ago. The way it works is quite clever. 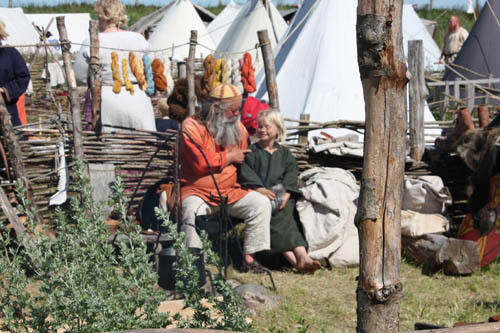 During a Market Event the reenactors fill the area and are not allowed to show anything that is not viking period. 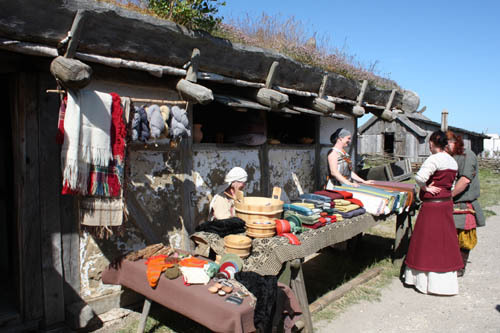 They sell wares from the shop fronts and from their period tents. Then when the museum officially closes to the public, the whole place gets turned over to the reenactors. Being Sweden in the summer, there are still many hours of daylight left for having fun. It works great for everybody! NOTE: In the images below I waited until most of the people were out of the view before taking the pictures so that we could see the buildings better. 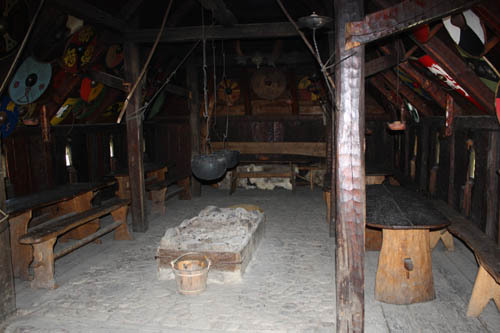 Inside a house in Viking Foteviken. You can come on in and sit right down. 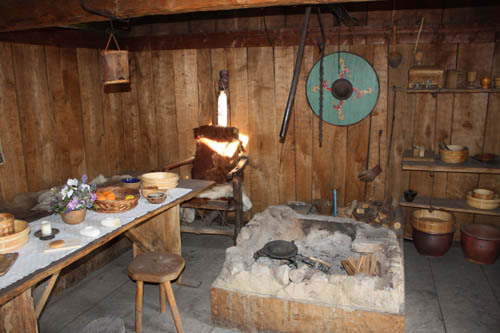 Cooking viking style in Foteviken. That's the oven in the corner. Foteviken is a wild trip into life a thousand years ago. 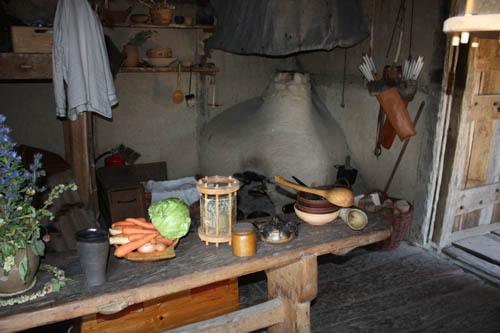 The closest thing to it I've seen in the USA are places like Plymouth Plantation and Colonial Williamsburg. And yet it is unique and special in a way that is different from what we have over here. 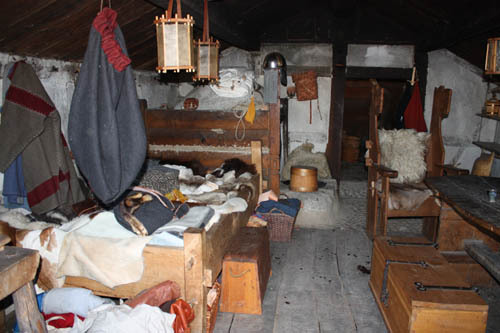 The American living history museums are relatively modern in comparison. 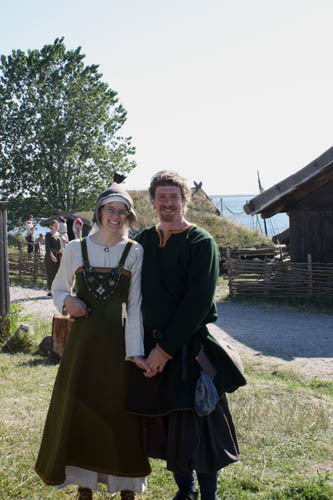 When you go to Foteviken you really feel like you have stepped into the past. 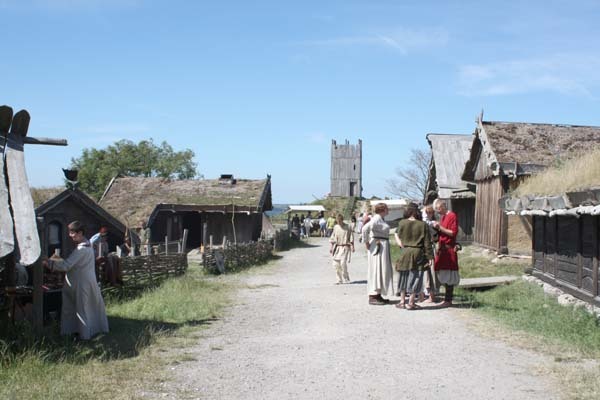 But if you decide to go there, I strongly recommend that you plan ahead to be there during a viking event because seeing the place in use is a magical experience that far surpasses the museum itself. 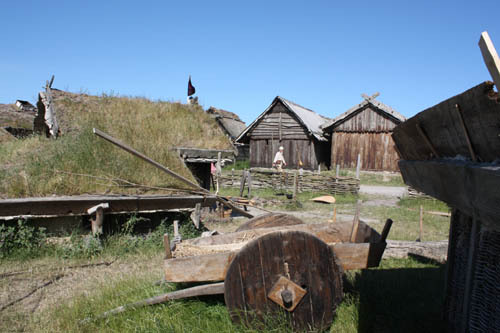 It is a ghost town without the people, but like Brigadoon, it comes out of time and lives when the vikings are in town. 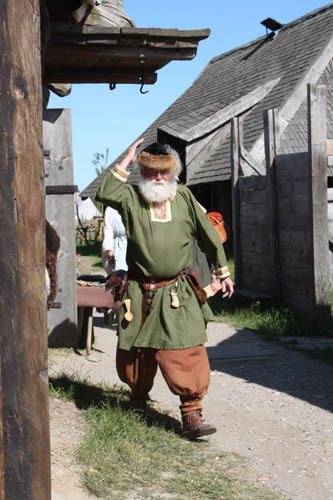 Thanks for joining us on our safari to see vikings in their natural habitat!